What's new in electrical discharge machining (EDM)? 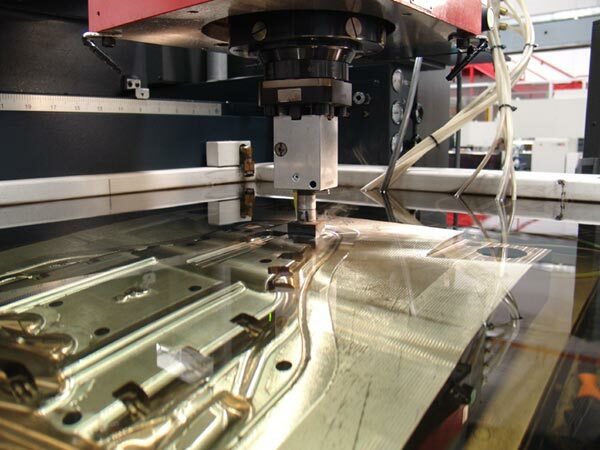 Part of the precision machining industry, electrical discharge machining (EDM) is a process that relies on electrical discharges or sparks to remove material from a component, creating the desired shape. The EDM system creates an electrical spark that produces intense heat and can, therefore, melt nearly anything. EDM involves a great deal of precision to ensure that just the targeted portion of the material is exposed to the heat, without any impact to the surfaces below or next to the given area. After researchers developed what would be the foundation of modern EDM during the 1940s, this process remained relatively uncommon for a long time. Today, however, it has become one of the most popular machining processes. Some figures indicate that in 1960, EDM accounted for about 0.5% of the machine tool market and by 1998, this figure was 6%. As you explore the following more recent figures regarding sales, jobs and more, it becomes clear that EDM continues to grow. The industry of electrical discharge machining has 137 companies that provide 1,679 jobs. 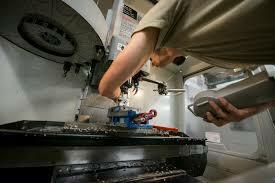 To put those figures into perspective, precision machining as a whole has 7,638 companies and 124,276 jobs. Of these companies, all 135 that have the relevant information available are private with no public EDM companies. The vast majority, 107 or 78%, focuses on domestic distribution with 27 or 20% distributing internationally. Additionally, nine companies or 7% import their raw materials. From a diversity standpoint, three (2%) of companies are owned by women with the same number owned by minorities. Keeping that figure of 1,679 jobs in mind, consider that a year ago, there were 1,614 jobs in EDM. This represents growth of 4.03%. Looking at job changes at a company-by-company basis, 10 plants (7% of all plants) reported increases in employment and two (1%) reported a decline in employment. The current average sales for electrical discharge machining is $115.40 million. By comparison, the entire industry of precision machining has current average sales of $25.70 billion. As such, the current average EDM sales account for 0.45% of precision machining sales. With the current average sales of $115.40 million in mind, the average sales a year ago was $111.20 million. This indicates an increase in sales of 3.78%. As with employee growth, some data is also available on a company-by-company basis. No EDM companies report a decline in sales and six or 4% report an increase in sales. Nearly half of EDM companies are located in the Midwest, where you will find 47% or 65 of them. The West is the next most popular region for EDM companies, with 29 or 21.17% located there. The Northeast follows with 24 companies or 17.52%. Finally, 19 companies are in the South, accounting for 14%. Electrical discharge machining currently makes up a small percentage of the precision machining industry, but it has experienced strong growth recently. Both the number of jobs and average sales have increased, showing a clear trend. Click here to see a full listing of the hundreds of U.S. companies that specialize in electrical discharge machining and machinery.